In today’s blog we are going to be reviewing the market update numbers for Durham Region as of February 2019. As always please keep in mind that this is a general overview for all of Durham Region. Every single city as well as every neighbourhood within those cities are going to have varying numbers. 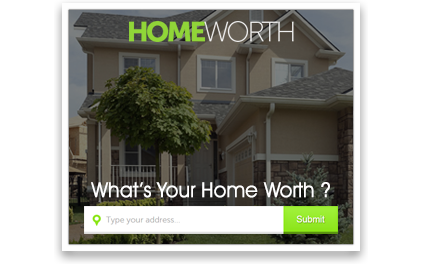 If you’re interested in finding out what your home is worth we offer a free, no-obligation market evaluation. Contact us and we’ll be more than happy to set that up. However, if you’re not interested in having a real estate agent come through your home we’ve got you covered as well. Visit homevalue123.ca and type in your information and we will send you an online market evaluation. There’s absolutely no cost or obligation for any of this. Now let’s get into the numbers. Durham Region saw 585 homes sell in the month of February. This is a slight increase compared to January, but that is expected because January is a fairly slow month. However, when we compare it to a year ago we see a decrease of 3.15%. When we look at listings for Durham Region we saw 1,140 listings come to market, which is a decrease of 5.16% compared to last year. Lastly, when you look at the average sales price for Durham Region we’re at $580,743 and that is a slight increase from January ($577,935). However, we’re down 1.8% compared to a year ago. The average days on market has shortened to about 24 days for Durham Region. This in my opinion is still far too long. The last thing you want to do is deal with showings for three and a half weeks before your house sells. Our average days on market is under 12 days and that is because we put a lot of work into our properties and we’re marketing them aggressively and we’re getting them sold for basically asking if not more. The longer you’re sitting on the market the less you are going to get. You will drive yourself crazy because it doesn’t matter how many stats you look at; we can’t predict what’s going to happen in 60 days from now let alone in six months to a year. You should buy or sell based on your actual needs. We are in a very balanced market now, but technically speaking it’s still a seller’s market because we’ve got 2.6 months of inventory. This means that if we stop listing homes today and we kept selling at the current rate, we would be out of listings in under three months. Anything under four is deemed a seller’s market, anything over six is a buyer’s market, and anything in between is balanced. A new statistic that we’ve been keeping track of is sales to new listings ratio. What that means is of every new listing that comes on the market, how many percent of them are actually selling. Anything over 60 is a seller’s market, anything over 40 is a buyer’s market. We are currently at 51% which is pretty much as balanced as you can get. This also means that out of every 100 people that list, 51 are selling and 49 aren’t, which is absolutely crazy. What does this mean for buyers? Buyers you have a lot to choose from. There’s a ton of inventory out there. However, you still have competition. You’ve got a lot of buyers out there who are hungry and looking for properties as well. So when you see something you’ve got to be able to jump on it. Work closely with you real estate agent to keep an eye on what’s out there. When you find something don’t just sit there and decide you might come back to it later, you have to act quickly. Sellers, you’re not giving your homes away. When you list your home you should be listing with the intention of actually selling it. You have to make sure that you’re being staged properly and that buyers have as few things as possible to complain about. You also have to be marketing aggressively so that everybody who’s out there looking for this home is going to see it. Most importantly you need to be priced well. It doesn’t matter how much marketing and staging you do if you’re not priced on point. Buyers have a lot to choose from and they’re not going to buy your property if you’re not. If you outgrew your home and need to buy something bigger, do that. If you need to downsize, do that as well. Don’t sit on the sidelines and try to time the market because you think it’s going to be a lot higher or lower in the next three months. You’re going to end up chasing your own tail because at the end of the day nobody knows what will happen. You have to operate within the confines of what the current market is and pricing your property for today’s market. You don’t want to be one of those 49% that doesn’t sell, just sitting on the market helping all of the other listings sell. This is the type of real estate market where agents earn their keep. It’s not as easy as putting a sign on the lawn and getting it sold. There’s a lot of work to be done in the background to make sure that you’re putting your best foot forward and to make sure you’re selling in a short amount of time for the most amount of money. If you have any questions about this month’s market never hesitate to reach out to me or leave a comment below!